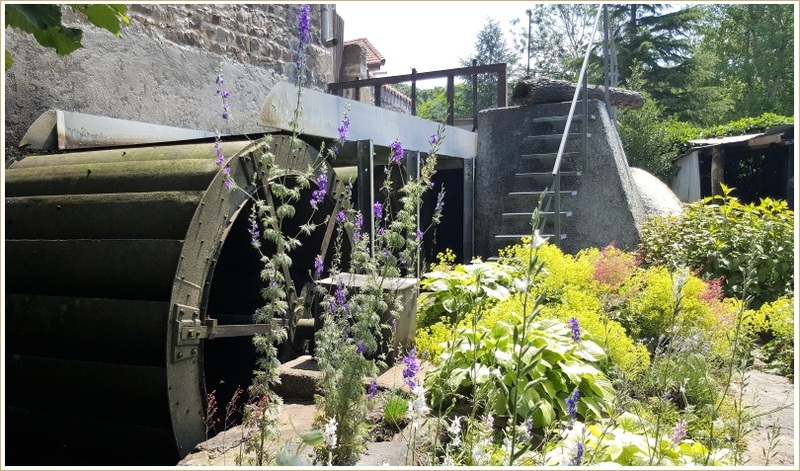 Rocked by the clatter of water from the Eau-Mère and the rhythm of the purring of its wheels, the Moulin de Perthus is a French mill, located in the center of France (next to Issoire in the Auvergne region). 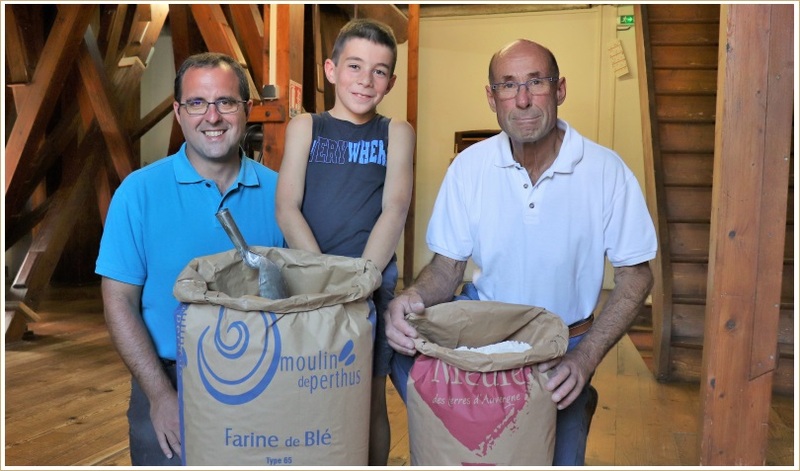 The Moulin de Perthus tirelessly grinds cereals that have been turned into flour for more than a century. From 1935 to the present day, 4 generations of millers from the Roubille-Roche family passed on the secrets of the milling process and lovingly maintained this little gem. They still make daily the history of Moulin de Perthus. 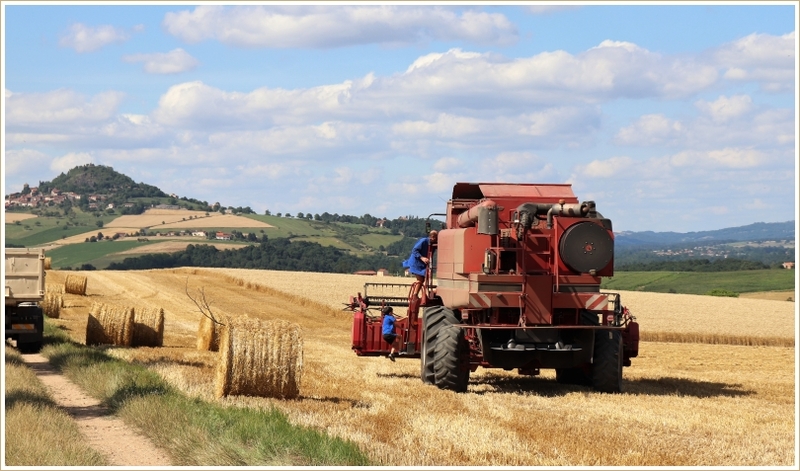 Nowadays Oliver Roche, working with his father Didier Roche, is the owner of this family business. 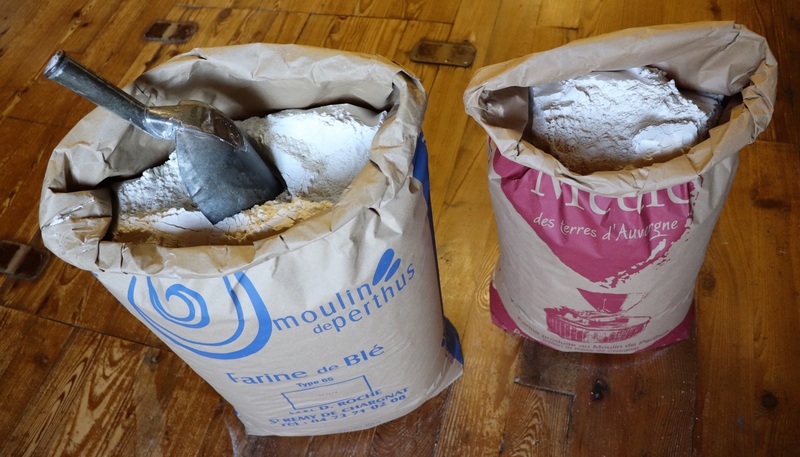 And all of the wheat flour of the Moulin de Perthus is produced from the cereal of their own fields. 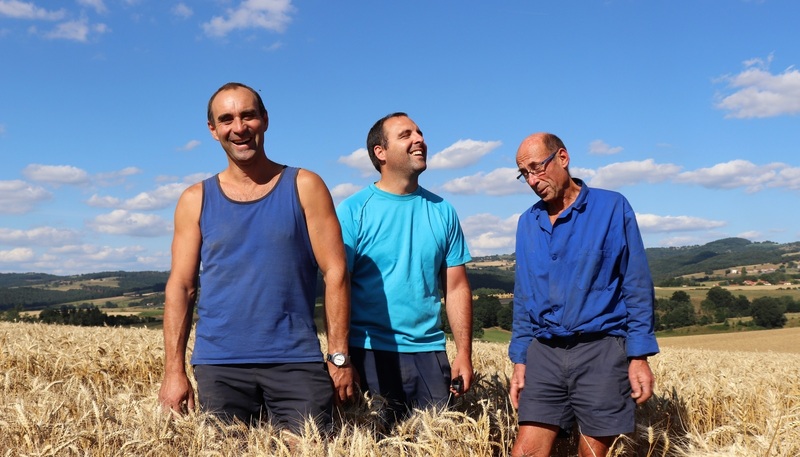 The crops are cultivated by Jérôme Tourette, Olivier’s cousin and they are located all around the mill at maximum 2 miles. 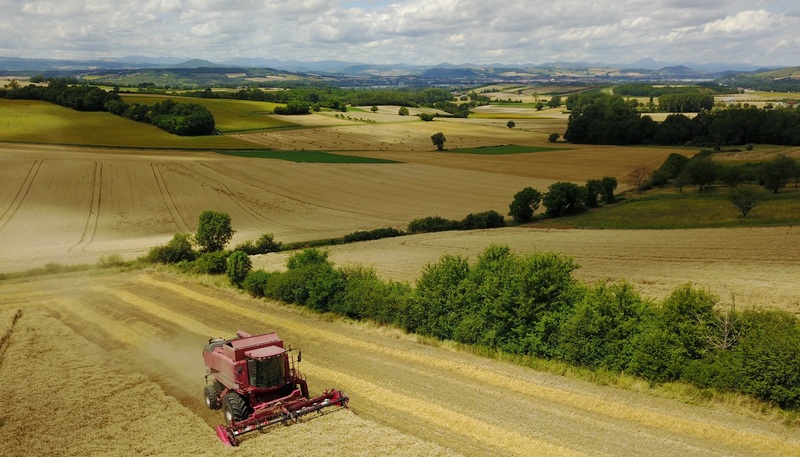 If not produced on the farm (for example organic wheat or rye), the cereal is very seriously selected by Olivier Roche himself in the Auvergne Region. Wheat flour made from the production of the farm with the grinders: type 65 four. Stoneground whole flour: Organic wheat- and rye flour.